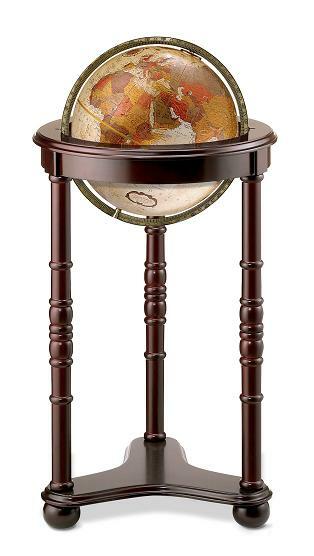 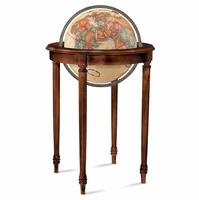 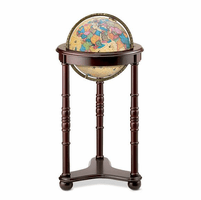 This stunning globe is designed in bronze metallic, with varied metallic shades to delineate the country borders in the finely detailed map. 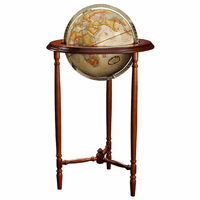 It has a full metal die-cast meridian, and is set in a carved dark cherry-finish solid wood stand, with 3 spindle legs and ball feet. 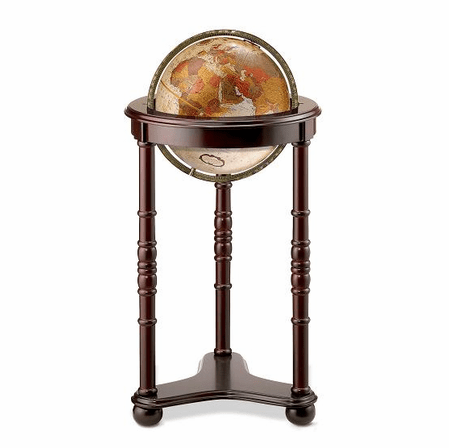 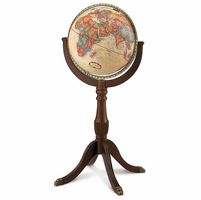 The globe diameter is 16', and the overall dimensions are 18' x 18' x 35', perfect for displaying in your office of home, and providing hours of fascinating discovery for you and those who come to visit!